SPELLBREAK is now in Closed ALPHA! We’re building a new battle royale RPG featuring epic magic combat. Weave spectacular spell combinations and craft strategic builds in your quest for survival! 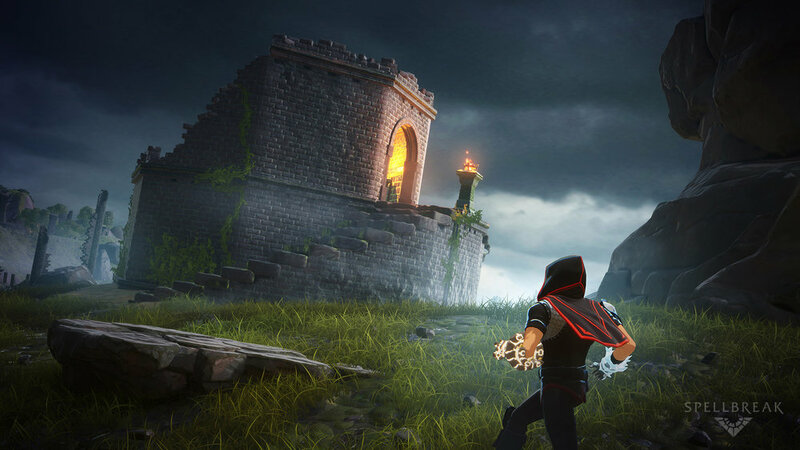 Want guaranteed early access to Spellbreak AND some super exclusive skins and other loot AND to support the development of Spellbreak? Become a Spellbreak Founder and get all this and more. Your support makes this crazy game possible. Thanks! Access to All Future Test Phases & Launch, Mage Role in Discord. At Launch, Will Include: $35 USD Worth of In-Game Currency, Exclusive Mage In-Game Avatar & Badge, and More Coming Soon! Access to All Future Test Phases & Launch, Battlemage Role in Discord. At Launch, Will Include: $60 USD Worth of In-Game Currency, Exclusive Mage In-Game Avatar & Badge, Exclusive Battlemage In-Game Avatar & Badge, and More Coming Soon! Access to All Future Test Phases & Launch, Master Role in Discord. At Launch, Will Include: $150 USD Worth of In-Game Currency, Exclusive Mage In-Game Avatar & Badge, Exclusive Battlemage In-Game Avatar & Badge, Exclusive Master In-Game Avatar & Badge, and More Coming Soon! As a Closed Alpha tester, you’ll get a behind-the-scenes look at development, be able to play early builds, and have the opportunity to provide direct feedback to the Proletariat team. Click the button below and fill out the form to apply for the program! Name and number. You can find this in the bottom left of the Discord window or in your user settings (ex: Gordeaux#6129). If you do not have a Discord account, join our server. I understand that by submitting this form, I am agreeing to be on Proletariat's email list and that I will receive occasional emails regarding the testing program and release information. How did you get to this form? Please let us know how you found out about this alpha program. If someone referred you, please enter their Discord name or some other identifying information here (so they get credit! ).